Our group is dedicated to educating the Albuquerque community of the issues faced in today's classrooms. 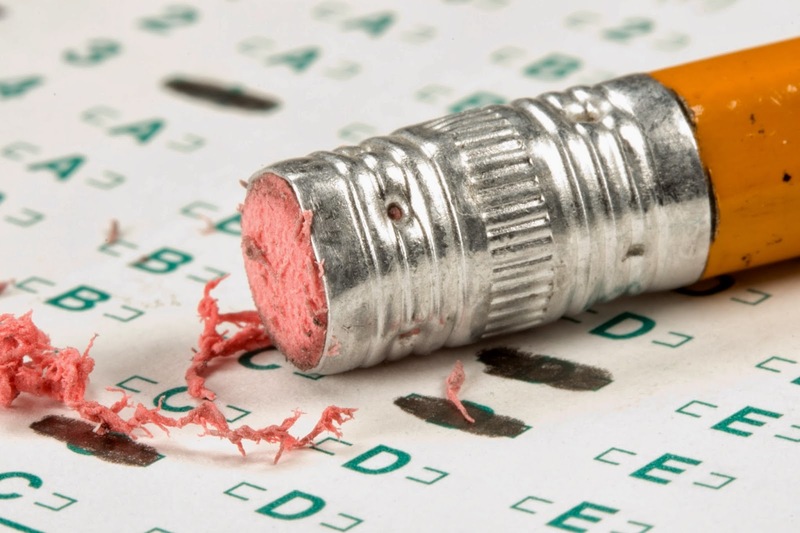 We aim to raise awareness of the problems that standardized tests create. We are proud to say that the community event at Montezuma went extremely well and we were all so glad to see such a great turnout! The engine to create change in our schools starts with knowing what is really going on in our children's lives. A partnership between parents and teachers is integral in this endeavor and it was empowering to see such a partnership growing tonight in the Montezuma cafeteria. We hope that the meeting was educational for everyone who came. Parents have many options in their child's education, including testing and opting out. Below, please find the opt out letter that was referred to during the meeting. This letter is a supplement to the opt out form and on its own will not opt your child out from testing. standardized tests already this year. *Testing is being used to punish students, teachers and schools. *Testing creates extra stress and anxiety for students and teachers. *Testing is not transparent and is based on mistrust of teachers. *It is our legal right to do so. Under no circumstances shall anyone administer _____ exams to our child, _____. As the individuals reading this blog know, teachers are being graded by their principals. Teachers are graded on their students' test scores, rubrics, their attendance record, and more. As you can probably guess, there are a large number of teachers who are not happy with this system. There is also a great deal of animosity brewing between teachers and their principals. For many of us, it is hard to keep a positive working relationship when teachers, who are already unhappy with being graded, are receiving bad scores. Whether these scores are justified or not is not the reason why I am writing this piece. Rather, I am writing to address a ripple effect of these reforms: the evaluation of our principals. Imagine that you had the chance to review your boss' performance after a particularly rough working year. It may be difficult to be completely impartial in your judgement of your boss' performance. Principals in our state are facing this issue right now. Earlier this week, teachers began filling out a principal survey in which teachers were asked to rate their principal's performance in a number of areas relating to their community support, their ability to grade their teachers, whether they support literacy programs and student achievement in literacy, their communication methods, relationships with teachers, professional development support, and building management. Principals are rightfully concerned about this survey. Disgruntled teachers, understandably, will have a difficult time being impartial in their judgement of their principals. More concerning, the surveys are anonymous and can be taken as many times as the teacher wishes. I could hop onto the survey right now and assess not only my principal, but any principal in the state. Consider the position this puts principals into. School administrators are frightened that their jobs will be on the line, their futures as administrators, because a single teacher holds a grudge. The legality and fairness of this survey process is in question by teachers and principals alike. This should also be a great concern for parents. Teachers and principals find themselves in a tenuous position when it comes to creating change in schools. Licenses and jobs can be lost so easily and the protections for teachers are drying up as our unions continue to be attacked. At the end of the day, it is the school's community that has power. Community members at Montezuma are beginning to see the power of organizing, the power that they have in creating change in a school and eventually district. Parents and school employees need to work together to communicate the issues we face and plan to create change. Parents, community members, ask yourselves: What can we do, as a community team, to create positive changes in our schools? Can we end this painfully unjust system, or will we allow our school communities to be ripped apart by reformers? PTEC is made up of a group of concerned parents and teachers in Albuquerque Public Schools who are working to better understand the influence of standardized testing in our schools. We first formed at the beginning of the 2013-2014 school year as a group of individuals who saw the negative influences of high stakes testing in our schools. As time went on we became more active in searching for information on testing: the hidden costs of time and money, the mental and physical influence on our children, the effects of testing on teachers, and more. We are members of a public elementary school in Albuquerque, N.M. working to engage our community in a dialogue about the impact of increased mandated testing on our children and our school. Our goal is to explore the resources used for mandated, high-stakes tests, the relationship between standardized test scores and poverty, and the effects of school grading and teacher evaluations on our children’s education and well-being.